The Earth’s magnetic field has been continuously recorded in the Paris area since 1883, first in Parc St Maur (1883-1900), then in Val Joyeux (1901-1935) and now in Chambon-la-Forêt (since 1936). 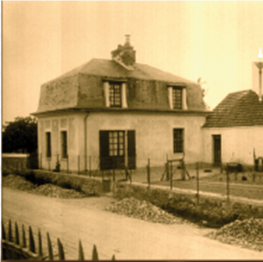 The first observatory was installed in Parc St Maur in 1878, by the “Bureau Central Météorologique” (now Meteo France). Continuous recordings started in 1883 and were performed using a Mascart variometer coupled with regular absolute measurements. In the late nineteenth century, electric trams were installed in the vicinity of the observatory, which lead to a deterioration of the measurement quality. Various solutions were proposed to this problem, such as using a second overhead conductor instead of the rails for the return of electrical currents. However, after evaluating the cost, the tram company decided to fund the building of a new observatory in Val Joyeux, about 70 km to the west of Paris. 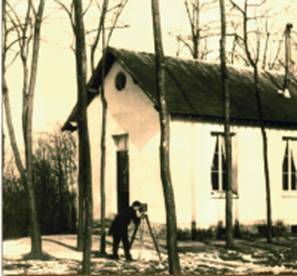 From January 1st, 1901, the new observatory in Val-Joyeux became the National Magnetic Observatory. At that epoch, several other magnetic stations were simultaneously operated in metropolitan France: in Abbadia, Bordeaux, Toulouse and Pic du Midi in the southwest; in Lyon, Perpignan, Marseille and Nice in the southeast; in Clermont-Ferrand in the Massif Central; in Nantes in the west. After providing data for more than a decade, these stations ceased their observations in the 1920s. Eventually, the development of power lines and industry in the Paris region also affected the data quality at Val-Joyeux observatory. In the early 1930s, a new observatory site was sought, remote from any big city and industrial facility. It was found in the Orleans forest, about 100 km south of Paris, near the village of Chambon-la-Forêt. Construction began in the spring of 1934 and installation of equipment began in October 1935. Val-Joyeux and Chambon-la-Forêt Observatories were then simultaneously operated for a few months. 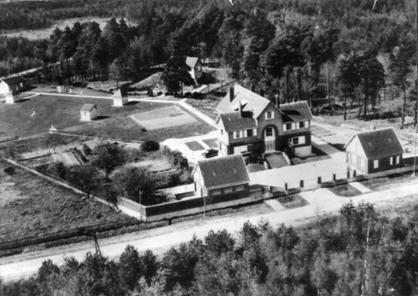 The new observatory became the National Magnetic Observatory on January 1st, 1936. The slow recording Mascart type variometer was the main instruments of the observatory. To monitor its operation, direct-reading instruments (read three times a day) were kept functioning. 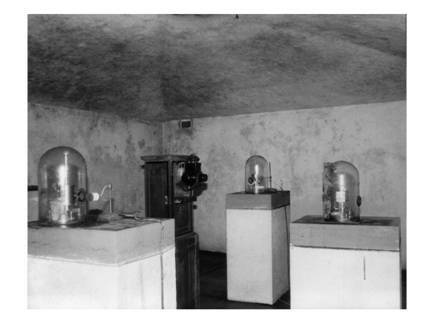 Later, La Cour variometers were installed and became the main instruments. 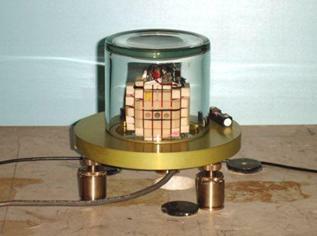 Various instruments were used over the following decades for absolute measurements: Chasselon and Brunner theodolites, Cambridge electric inclinometer, quartz horizontal magnetometer QHM. The expansion of the BCMT network outside metropolitan France started in 1952 with the installation of the MBour observatory in Senegal, followed by those of the Bangui observatory in Central African Republic in 1955 and the Dumont d’Urville observatory in Adélie Land (Antarctica) in 1957. In 1963, proton precession magnetometers, able to precisely measure the magnetic field intensity, were introduced in BCMT observatories, leading to significant improvements of the data quality. In the early 1970s, the development of fluxgate magnetometers was undertaken in order to equip magnetic observatories in the French islands of the South Indian Ocean and in Antarctica. This new, electronic instrument was introduced in Chambon-la-Forêt in 1978, along with modern DI-flux devices for performing absolute measurements. However, it took several years until the fluxgate magnetometer was adopted as the reference magnetometer of the observatory, in 1986. The operation of the Mascart variometer was finally discontinued in 1988, followed in 1992 by that of the Lacour variometer. The expansion of the BCMT network took a new turn in the late 1980s as INTERMAGNET was founded by USA, UK, France and Canada. In cooperation with foreign institutions, several old observatories were upgraded so that they meet INTERMAGNET standards, and several new observatories were installed in remote locations from the early 1990s until today. In order to equip the new observatories, a new fluxgate magnetometer, the IPGP VM391, was developed. This instrument and its subsequent versions are now installed in all IPGP and IRD magnetic observatories.